On September 25, I had the privilege to be present at the opening of the exhibition "Das Schwert - Gestalt und Gedanke" (The Sword – Form and Thought) at the Deutsches Klingenmuseum in Solingen, Germany. This exhibition is a must see! It is dedicated to the European sword, and its history from the High Middle Ages to Early Modern times: as a tool of war and a symbol for the knightly virtues, as the preferred weapon of the art of fencing and insignia of authority, as a product of technological perfection and as a precious piece of jewellery. Swedish swordsmith Peter Johnsson explained that the physical form of a sword not only is a result of its practical function, but also tells us about the world of ideas of its makers and users. According to Johnson the principles of construction and geometrical systems behind medieval swords are foremost examples how „Form and Thought“ become one. 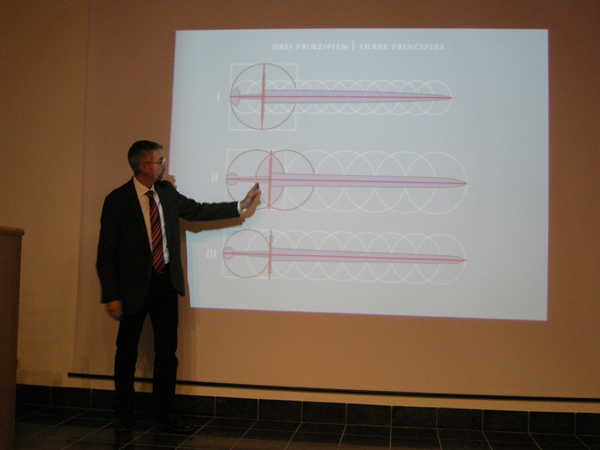 Peter Johnsson explained which principles sword smiths may have followed when constructing their ideal sword. 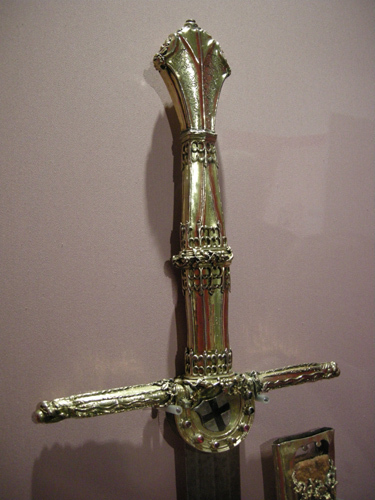 Ceremonial sword of the archbisshop of Cologne, ca. 1450 - 1460. The art of fencing is also one of the exhibition's main topics. The Klingenmuseum owns a collection of centuries-old fencing manuals, which are put on display for the first time, accompanied by the weapons used in the books. The exhibition shows not only pieces of the Klingenmuseum's collection, but also loans from museums and private collectors from Germany, the Netherlands, and the USA. A part of the exhibition presents modern takes on the art of swordmaking: Five makers of international renown (Petr Florianek, Peter Johnsson, Jake Powning, and the duo Duo Ralf Hoffmann and Sabine Piper) present their very own interpretations of the sword. The Deutsches Klingenmuseum is one of the finest museums in the world specialised in swords. 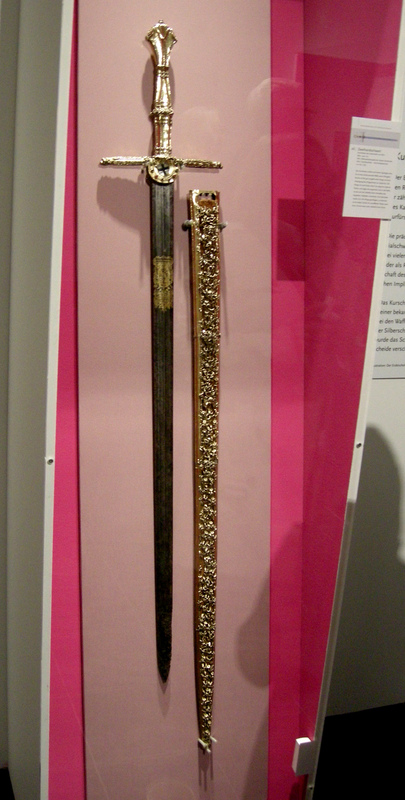 So the vast and regular collection will also show you the earliest bronze and iron age swords, as well as gothic and renaissance hunting swords and more modern swords and sabers. As already written above, this exhibition is a must see. The pictures that I took during the opening only will give you a very limited and two dimensional first impression: Das Schwert - Deutsches Klingenmuseum, Solingen. Germany. You need to visit in person to fully enjoy the exhibiotion as well as the regular museum's collection. Should you travel from far, I would further recommend to visit some other museums and castles in the vicinity of Solingen. See the world map with arms and armour museums and castles with collections of arms and armour on my web page. 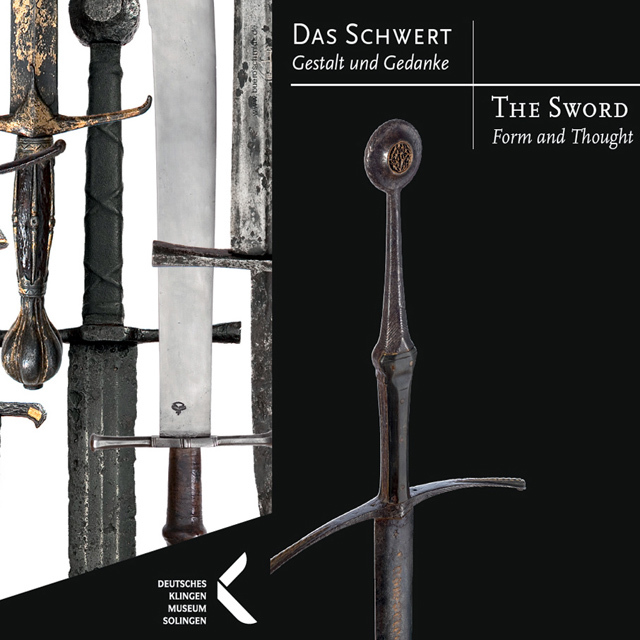 Grotkamp-Schepers, Barbara; Immel, Isabell; Johnsson, Peter; Wetzler, Sixt, The Sword - Form and Thought, (on the occasion of the same named special exhibition in the Deutschen Klingenmuseum from the 26th of Sep 2015 till the 28th of Feb 2016), Solingen 2015, 192 pages, numerous pictures.